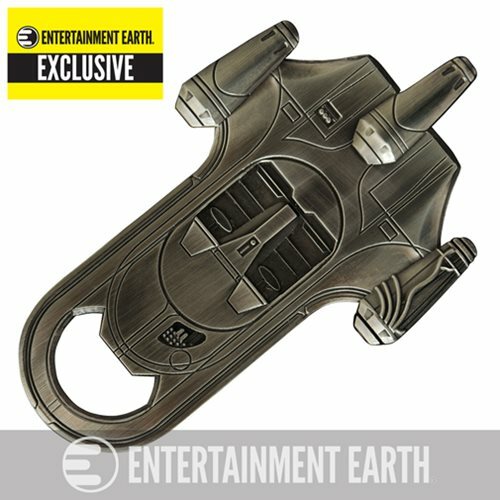 Shopping for Star Wars Bottle Openers? No power converters needed! The X-34 is always in style! A true Star Wars classic, Luke's sweet ride is now your favorite way to pop open a cap with the Entertainment Earth Exclusive Star Wars Landspeeder Bottle Opener. Make sure you always have a way to open tasty beverages with this solid metal bottle opener, modeled after the coolest car in the world of space fantasy. Bottle opener comes packaged in a collector's box and features magnets so that you can stick it to your fridge - or that nice decorative artwork of Han Solo in carbonite!